Jose Mourinho was unceremoniously dumped from Manchester United after just two and a half years in charge of the club. While results and performances clearly weren’t at the level required of the self-proclaimed biggest club in the world, his public spats with players and the boardroom didn’t exactly support his cause. Just this season, Mourinho called out specific young players like Luke Shaw and Marcus Rashford for lacking the “character” and “personality” to succeed at the highest level and knowingly engaged in a frosty training ground exchange with Paul Pogba that was being captured by the media. It wasn’t just the players he singled out. The board was repeatedly chastised for not supporting him with recruitment in the summer transfer window – conveniently side-lining the £400m he’d already spent in the previous two seasons. All of this painted a picture of an unhappy manager in an unhappy club. None of this had to be the case. Even with results not going the way he – or the fans – had anticipated, the mood could have been improved had Mourinho not taken such a public approach to air his grievances. Such views should stay “in the changing room”, rather than adding fuel to the debate in the press and on social media. Paul Pogba’s since deleted post yesterday – which his promoter claimed to be a scheduled piece of marketing – is a prime example of the impact an ill-thought through social post can have. We’ll never know whether he was intentionally referring his manager’s sacking or not, but irrespective of this, the damage has been done. And the same principles apply for businesses outside of football. Every organisation will have its struggles, its internal politics and personal clashes – even at a senior level. Yet such issues should be addressed in private, not debated in public forums. While public companies will be judged on their quarterly earnings - in the same way as football managers are judged on their results in the pitch - personal performance, boardroom support and individuals’ character should not be publicly questioned. This should be obvious to most comms pros, but it certainly serves as a reminder when working with spokespeople to ensure they know the boundaries and key messages when working with the press or posting on social. 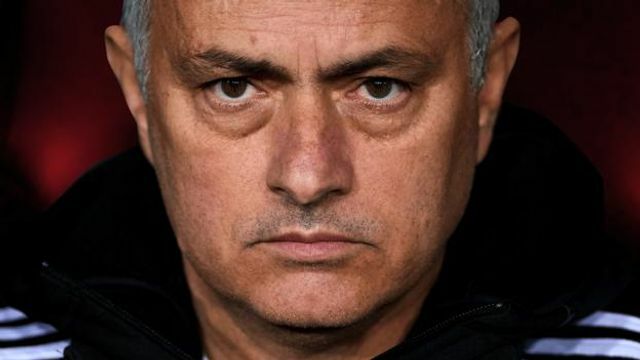 Mourinho pushed those boundaries as far as they can go, and there can be little doubts this played a part in his premature departure from United and the club’s clear fall from grace. Manchester United have sacked manager Jose Mourinho after identifying a catalogue of his failings at the club. The Portuguese, 55, took over in May 2016 and led United to League Cup and Europa League titles, but they are 19 points behind league leaders Liverpool. The club have made a change after no progress with results or style despite spending nearly £400m on 11 players.